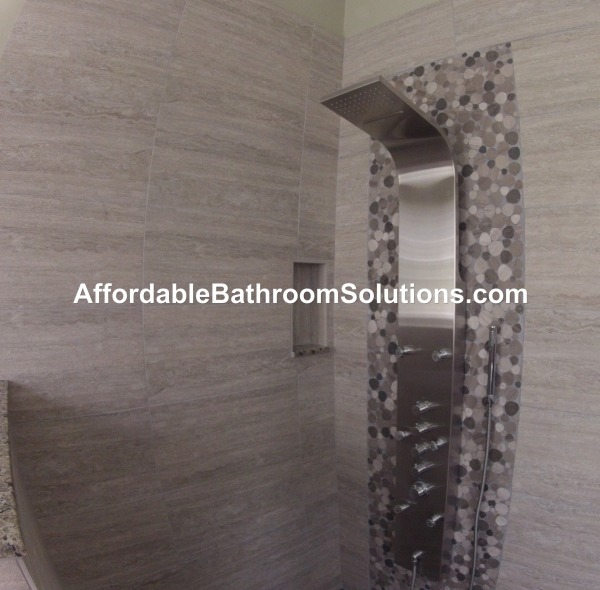 Affordable Bathroom Solutions specializes in bathroom remodeling. Serving Broward County for 25 years. Plans, permits, tile, plumbing & cabinetry, we handle the entire project to completion. We deliver premium results at reasonable prices. If you are looking for a quality all wood vanity with expert installation, then look no further. All our vanities are built to order to fit your existing space. Our vanities are all wood constructed and built in our cabinet shop in Oakland Park. Expert repair service. Our repair shop on wheels comes to you for shower pans, bath tubs & tile repair. Phone or email quotes are free. In-home repair estimates are subject to a $55 analysis fee refunded if we do the repair.